Sleep is so important even more so when you have more then one child, establishing a good bedtime routine and good habits is essential to a good nights sleep for the whole family. Arthur is now three months old and is starting to notice patterns and routines, especially that of his nap time and night time routine. During the day I don’t have a specific routine because I like it that he will sleep anywhere, but for night time I do have a few things that I make sure I do with him to get him ready for bed. So that he knows what to expect and knows that it is bedtime. I usually give him a nice warm bath, I feed him, I then pop him into his sleeping bag, put his Suzy Snooze night light on, give him his dummy and cuddly bunny and then lay him in his Sleepyhead Deluxe. He goes off by himself with the help of the soothing sounds and soft light of Suzy Snooze. Suzy Snooze is a three in one smart device, it is a baby monitor, a smart sleep trainer and a night light for your little one. It really helps us with our evening routine. Suzy Snooze also plays soft, soothing music and the light is just soft enough to help aid sleep. It has a lovely modern sleek design which is both bright and appealing and also looks lovely displayed next to Arthur’s crib. We were sent Suzy Snooze to try out over a month ago, so we have been using it for a while now. I have to say after using it for over a month I just adore it. It’s such a great smart device. It does three things in one, so instead of buying three separate products you have all three in one with Suzy Snooze which I just love. It makes my life a lot easier not having to worry about a night light and soft music, I also take full advantage of the baby monitor which is activated through the Bleepbleeps app on your iPhone or android. It does all of this as well as acting as a sleep trainer. I love that Suzy Snooze connects up to your smart phone through the Bleepbleeps app so that it acts as a monitor which I think is really handy as it is available all the time on your mobile. 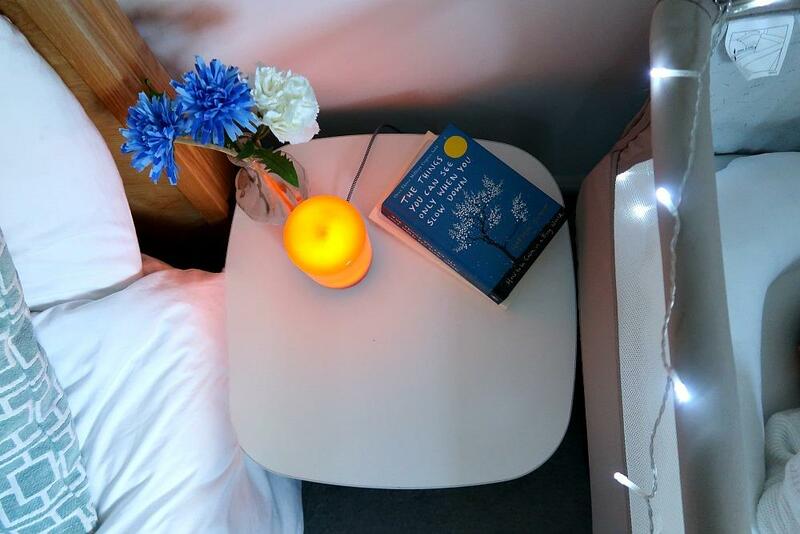 The soft night light is the perfect brightness, it is a warm amber light which creates a really soothing and cosy atmosphere. 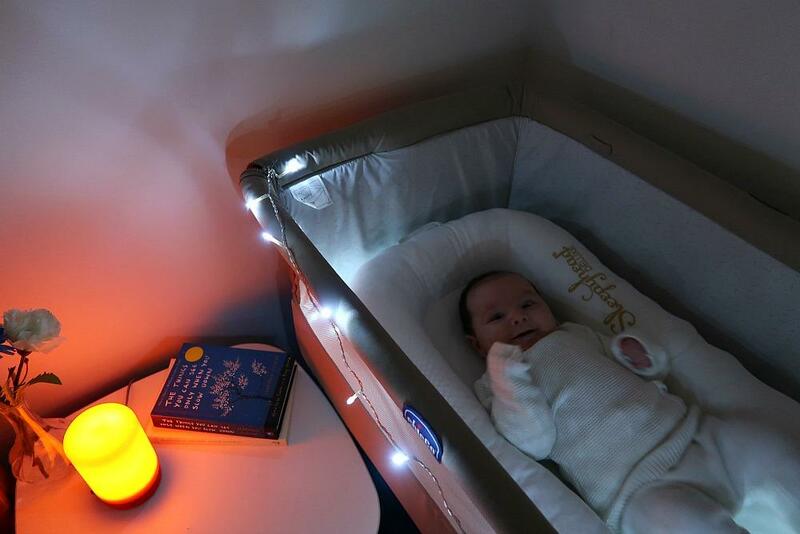 The sounds and light composition was specifically created to induce sleepy feelings and promotes natural sleep hormones. 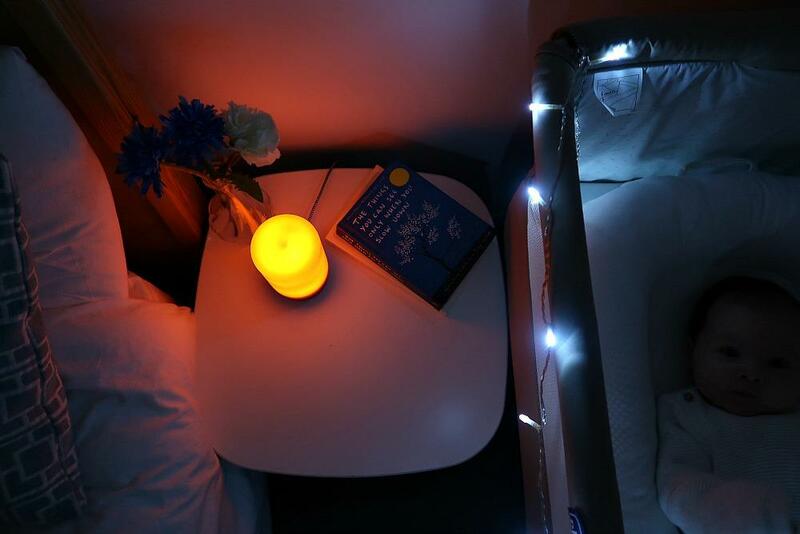 The low LED light stays cool to the touch and can be your baby’s reassuring night light throughout the night. 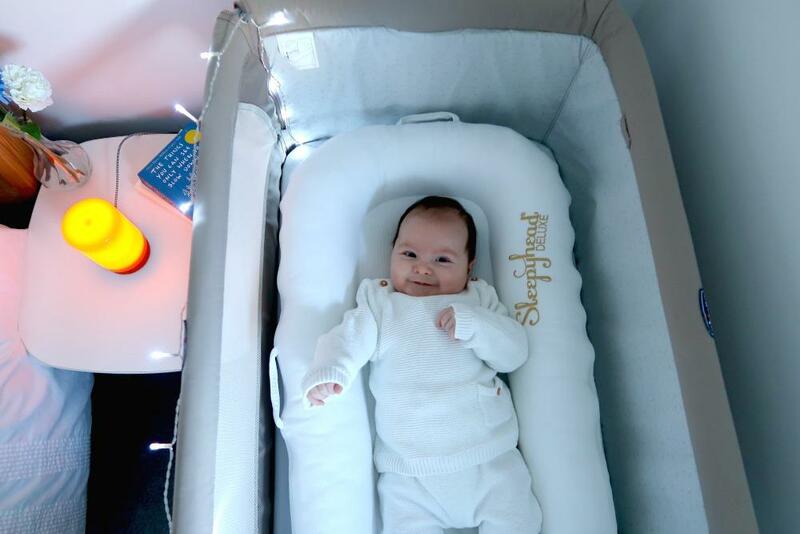 If your baby does wake, Suzy’s cry sensor and smart technology will help soothe them back to sleep. Suzy Snooze will teach your toddler to stay in bed in the morning until it is time to get up. Archie is a very early riser most mornings so it is great for him to be able to look at Suzy Snooze when he wakes up and see if it is morning time and that its okay to get up and start the day. 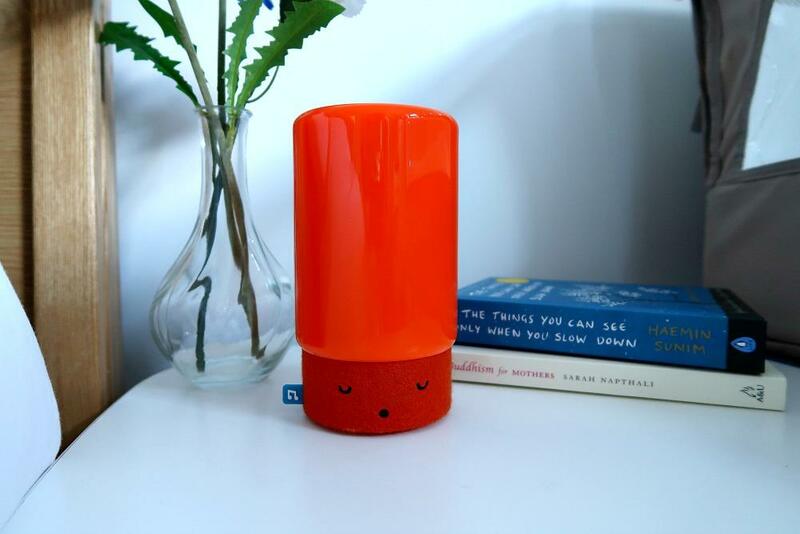 Suzy Snooze combines so many baby essential products into one smart device. Which is what I love about it most as it grows with your baby and their needs. 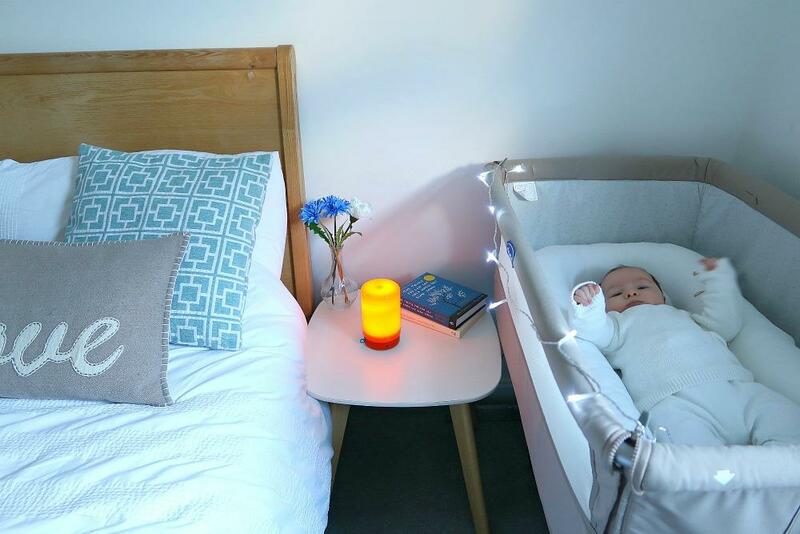 We have really loved testing out Suzy Snooze, it is a great smart device and definitely helps with the bedtime routine. Thank you so much to Bleepbleeps for sending it to us. *We were sent Suzy Snooze in exchange for an honest review. Oh my he is just so adorable! A good night sleep is everything! 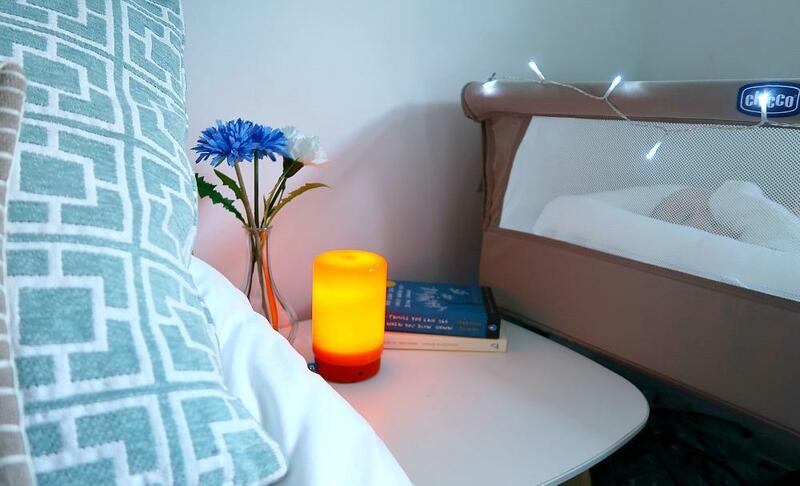 The Suzy Snooze nightlight looks great, awesome smart device! 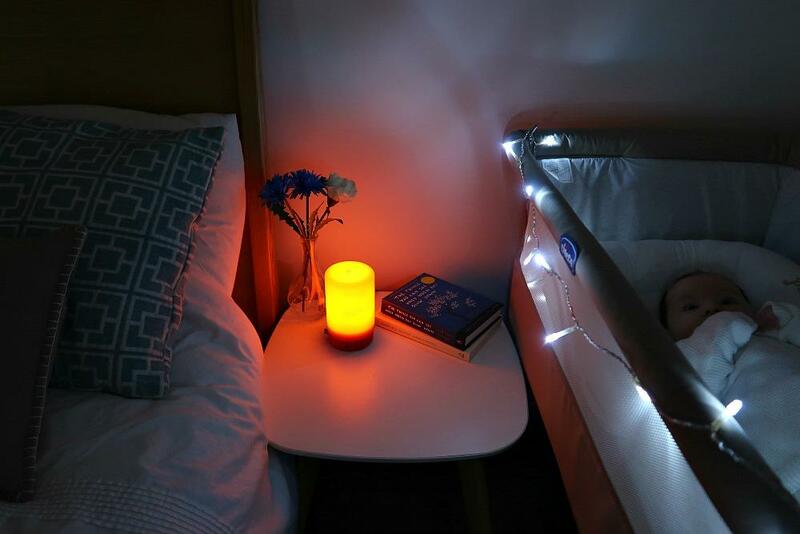 Ooh this looks fab, why did they not have that when mine were babies?! I love anything that connects to you phone!